The face is not only central to identity, but is also the primary vehicle for human expression, emotion, and character. It signifies intellect and power, is often regarded as a window into the soul, and is the focus of attention when individuals meet. How have different cultures depicted faces--whether a likeness or idealized; whether masked or revealed; whether newborn, in the prime of life, dying, or even deceased? Why has the depiction of the human face been so central to artistic expression in all world cultures? 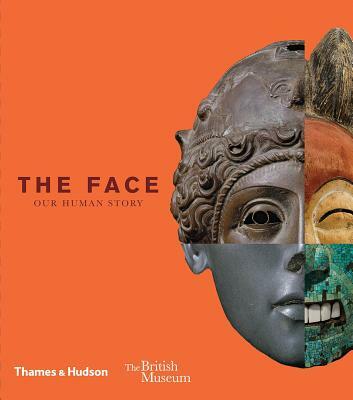 Art historian Debra Mancoff explores the depiction of the human face through the full range of objects and works of art in the collection of the British Museum, and she discovers how the face subtly conveys the full spectrum of human emotion across continents and through the centuries. Arranged thematically (Birth and Childhood; Love and Beauty; Faith, Ritual, and Mythology; Rulers and Warfare; Identity and Disguise; Everyday Life; Death and the Afterlife), each of the book's chapters begins with a brief introduction before depicting faces in various pairings and groupings, offering insights into experiences that we all share as human beings.